You might be asking yourself "Do I even need an attorney?" Or perhaps you've thought "I have a friend that is a lawyer, do I really need one who has extensive experience in Lemon Law?" The short answer is... yes! There's a number of reasons to go with an experienced Lemon Law Attorney, both specifically when it comes to lemon law but also when it comes to any law. But just like all doctors can help the injured and sick, if you need surgery you want a surgeon. If you have a heart attack.... you want a cardiologist! So if you are driving (or not-driving, if that's the case) a car you feel is a lemon... then you NEED a Lemon Law Attorney! 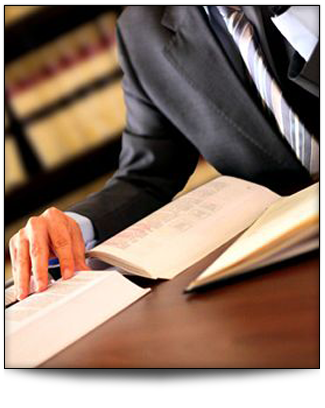 Every case is different; an attorney who is experienced in lemon law not only has the experience needed to know how to approach your case from the right direction, to get you the best and fastest results possible, but an attorney who works specifically in lemon law also has relationships that other lawyers wouldn't have a need for. At the local, state and federal levels there are agencies, laws and resources that vary and serve specific purposes. These are things you don't want your lawyer missing or wasting their time and your money researching what you can only hope is the course of action that will get you the justice you deserve! If you've made your way to this website then you are probably having a problem with your car, truck, RV or other automobile and this probably isn't the first time. Check out some of our other sections found in this website for help in determining whether your car is a lemon and how we can help. And as always, feel free to contact the Law Office of Patrick J. Cremeens today, for more information or for help determining if your vehicle is defective. If you've been wronged, we can help!